It’s a giveaway kind of day…! I’m currently leaving on a jet plane headed to NYC (read more about it here once you’re done entering the contest!). AND – in honor of the new cutest new IT-luggage hitting Instagram, I thought I’d give away this 2-piece luggage set. 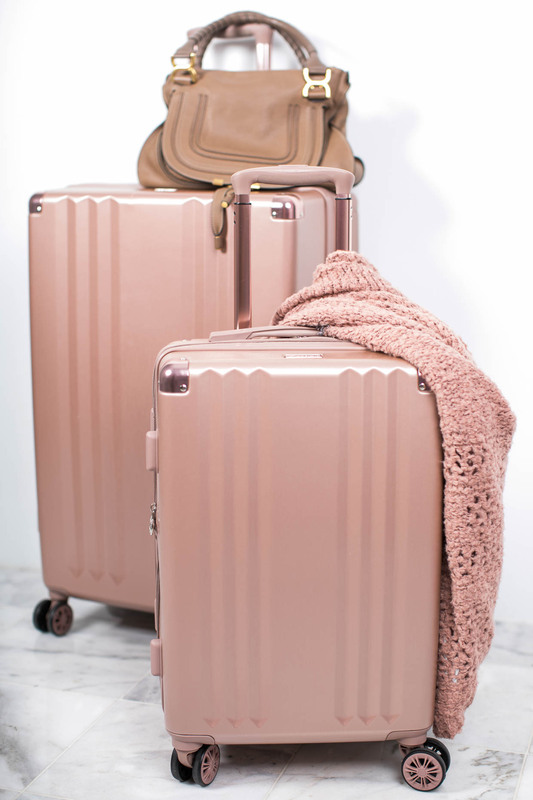 I chose the rose gold luggage — but I will treat the winner to whichever color you want *find more colors here* of this specific set (don’t worry – I know rose gold is back-ordered, but I can still get it for you girls no problem before then!). I so appreciate my platform, followers, newsletter subscribers, DM’ers, snapchat girls, and commenters – so I wanted to give back to you. Luggage is definitely something we all *need* — so how about a chic new set! Wow this is awesome! And a coincidence cuz i was looking at this exact luggage for my trip in october! Enjoy new york!! Such a cute set! Absolutely so proud of you! You are so beautiful Jessi. You are so amazing! This is so exciting! I’ve been wanting some rose gold luggage but it’s so expensive! Not sure what I like more – the luggage or your Tory’s! They are too cute! Great quality and stylish looking luggage! Have a good flight to NYC! Love that you’re giving these away! They are super cuteee! Those are really gorgeous luggage. Cute cardigan by the way.